15 oz. 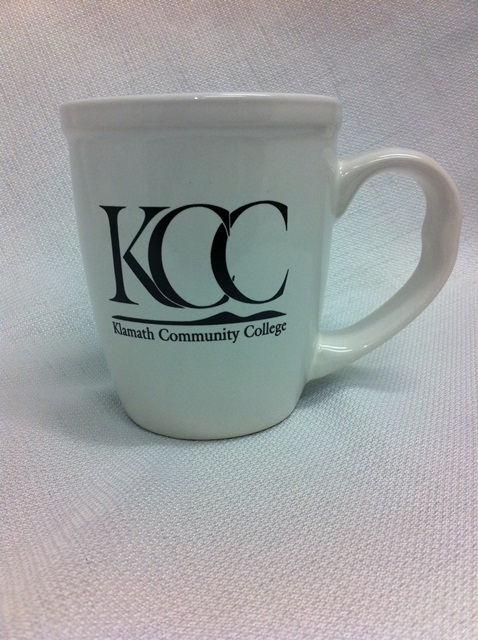 white mug-double sided graphics in black ink -KCC and badger paws. White sticker. 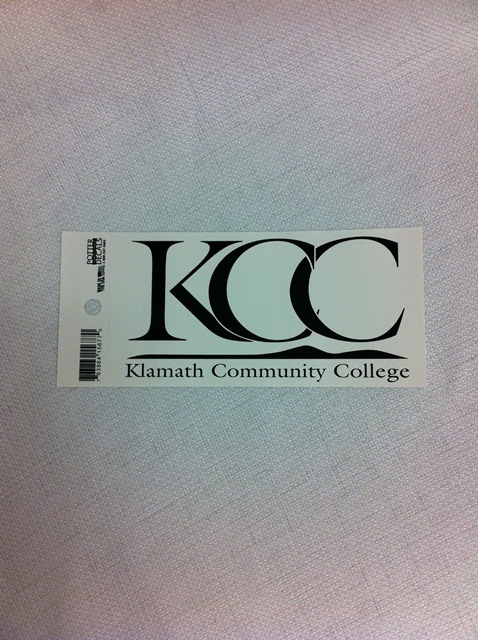 Black KCC and Klamath Community College graphic. 3" X 6".